I'm writing some of this prior to watching Full Throttle and I'm going to talk a little about preconceived notions. 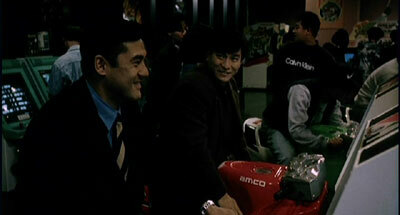 I mean, look at this movie, it stars Andy Lau and he rides motorbikes!. I know that it's Derek Yee directing and that probably means that it's not a shallow drama directed at teens only. Audiences in Hong Kong may have thought the same as me and the reason it made money was partly because of Andy's starpower. I sincerely hope they appreciated what a well-done film it was as well though. 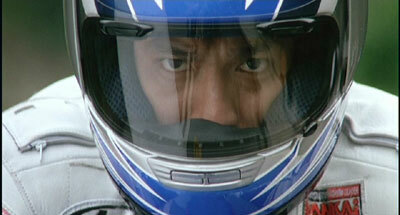 Now after watching Full Throttle it's important to point out that it's a Derek Yee's film that should work for anyone. On the surface it's not a difficult film and it's has a commercial feel to it. Not too far away from the surface there lies depth in the characters and the events around them, something that makes it very worthwhile even for the demanding viewers. In other words, those looking for a Derek Yee film first rather than an Andy Lau film. Derek is such a solid filmmaker that never have needed to present his story, technically, in any way but the straightforward way. His strength is in writing and directing actors (he acted before directing movies) and if he needs to visually tell something, then it's smoothly integrated. For example, in Full Throttle Derek has put together one very good flashback sequence, told out of Joe's point of view and other movies like People's Hero affects you through small visual glimpses. When he turns up the intensity into something dark, violent or tragic, you're left with a rather expertly executed effect. That was of course very evident in The Lunatics and there's one very surprising moment like this in this movie. Jingle Ma and David Chung (in his, to date, last lensed project) cinematography is very good throughout with an extra nod to the nighttime riding sequences with the city landscape in the background. Action choreographer (more motorbike choreographer) Bruce Law provides the thrill and tension needed for these scenes. Motorcycles and riders of them is the backdrop of the film but since it's also about people, Derek doesn't drench us in technical talk or a plethora of racing scenes. It's very much a character driven piece about souls on two different sides of life, the ones treading in the same footsteps and those striving forward. Looking at the movie one could make a case that many people in it are right and wrong. 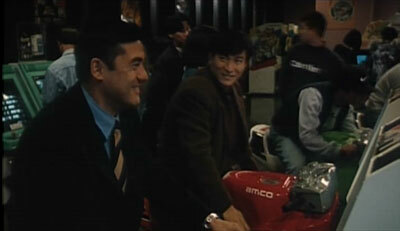 Looking at Andy Lau's Joe we see a young man with a great knowledge and passion for his bike but is encouraged by his girlfriend Yee (Gigi Leung) to take the next step into becoming, what she perceives as, someone. Joe isn't a person that chooses listening as the number 1 priority and for him it's easier to lose yourself in his "addiction". Him and his friends way of living could easily become a downward spiral but there lies strength in what they do. Everyone can move on to a different way of life or use the current one to his/her advantage. You either come to realize that yourself or through a critical event, regardless of it's an happy or tragic one. Gigi Leung's Yee represents those who live the life you're "supposed" to, as she is working and wants to look forward with Joe by her side. She's smart and many of her instincts are correct but maybe she's missing that extra understanding for Joe. The both of them really represents the heart of the movie and Derek Yee is communicating with the audience through them. Andy Lau managed to impress with his acting now and then during the 90s and with Full Throttle he further cemented his true moviestar status. You can say it all began with Benny Chan's A Moment Of Romance (where he also rode a bike) and during the timeframe between that and Full Throttle, he progressed further towards getting respect in the acting community. On display is mostly the character of Joe's passion and arrogance and he rarely show his true humanity. That becomes more apparent later in the movie when the character goes through a crucial life episode and it's all surely handled by Lau. Under the direction of Derek Yee this becomes one of his most memorable performances. Nowadays Andy has enough charisma to make most of his movies watchable but there were films, during the 90s, that he ruined by being in them. David Ng doesn't look like the future hope for character actors in Hong Kong but his baby face-look compliments the character he's playing. He's been out of Hong Kong for several years and returns as a seasoned rider with a huge determination. He and Joe become friends but ultimately rivals in a way. They're not enemies but just on different sides that naturally can create conflicts, even though they're both not about that. Good supporting performances comes from Chin Kar Lok, Elvis Tsui and of course Paul Chun (elder brother of Derek and actor David Chiang). 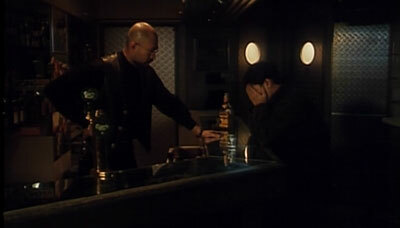 My preconceived notions about Full Throttle were of course wrong and Derek Yee effectively finds a balance between layered and commercial filmmaking. He hasn't done many movies considering his directing debut was in 1986 but I'm all for him choosing carefully the story he wants to tell. I'd rather have that than seeing him doing a project with one hand just to achieve box office success. In 2003, Full Throttle was given a facelift as part of Mei Ah's 16:9 reissues. The first releases consisted of high profile titles out of the action genre and this high profile drama does make sense to be released at this fairly early stage. The dvd comes in a slick slipcase with same cover art on the dvd itself. On the reverse, there is a promo for these Mei Ah remasters, promising what they have delivered so far. The 1.78:1 anamorphic transfer boasts good colours and detail compared to the old edition. What it unfortunately adds is a good amount of grain seen in many places throughout, plus three or four scenes are a bit darker looking compared to the already dark scenes of the previous dvd. (See examples below). Print damage is most noticeable in the beginning and only light speckling is then seen for the rest of the running time. The burned in subtitles make way way for new optional English ones and thankfully the translation is the same, meaning excellent with only a few spelling errors occurring at the end. Traditional and simplified Chinese subtitles are also included. Full Throttle was originally recorded in Dolby Digital 5.1 but the old dvd only offered a Stereo Surround track of that. It was a decent track but sounded rough in different areas. On the new disc we get a 5.1 option (downconverted to 2.0 for my setup) offering a much more balanced and crisper sounding experience. Surrounds are used sparely but the front stage is active to a pleasing degree. The 2.0 track mentioned is not advertised on the back cover but is indeed selectable from the setup menu. Cantonese DTS 5.1 and Mandarin 2.0 tracks are also included. Only extra is the Data Bank with nothing of value. Only static text screens with the plot synopsis and cast & crew listings can be found there.